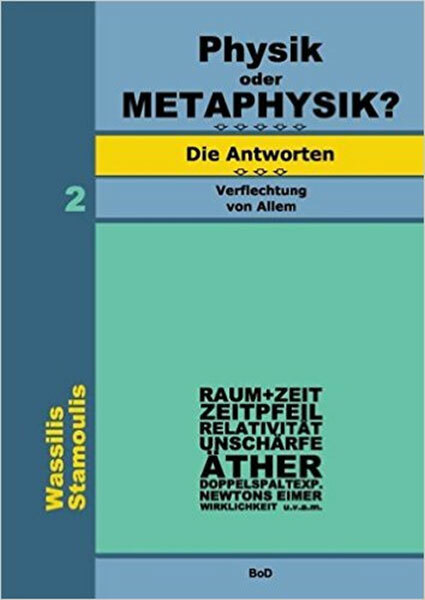 Vassilis Stamoulis - Author of the book Physics or METAPHYSICS? 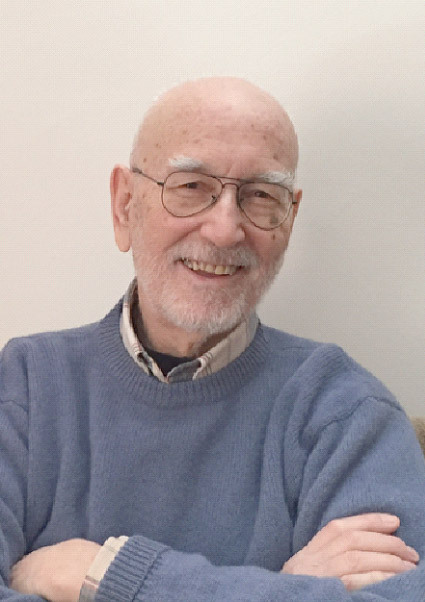 With the title ‘The solution of Zeno’s Paradoxes” I claim that by rationally using the incredible findings which arise from this solution, even the most enigmatic questions of every cognitive field can be answered. However, the answers will only be correct if they are integrated harmoniously in the Interweaving of the Everything, thus creating the multidimensional universal puzzle. The purpose of this website is to present (in summary) the solution of Zeno’s Paradoxes as well as to prepare the reader on the aspects he will be confronted with in my books as an outcome of this solution. Whoever deals with Zeno’s Paradoxes, realizes that they describe natural phenomena. Simply because for example the arrow, the distance, the motion, etc. are integral parts of our natural environment/ world. However, the way the walker, or the Arrow, or Zeno, or Achilles and the turtle all move, leads to the infinite which is up to the present incomprehensible. The infinite is the study of metaphysics. In fact and as it is proven through studying Zeno’s Paradoxes, Physics and Metaphysics are two sides of the same coin. One side couldn’t exist without the other, in the same way that there wouldn’t be any good without any bad, the true without the false, the beautiful without the ugly or even the bright without the dark. All these countless features in forms of metaphorical coins, describe the evolving existence ιν the way we humans perceive it. Undoubtedly, Metaphysics concerns all of us directly, even if up to this day it was unknown what its actual relation to Physics is, and consequently its relation to our reality. The varying shades between the above mentioned opposites (e.g. black and white) are infinite. It becomes obvious that, what no ‘modern’ thinker has realized (in contrast to the … “metamoderne” ancient Greeks and especially the Eleats philosophers), is that metaphysics is impossible to be approached in a dogmatic way and through religious structures – but only rationally. Consequently, this working model of acquiring knowledge is radically different to the one Physicists use. This is due to the fact that their way of studying is always based on unsound doctrines and axioms. It concerns two principles which are only very slightly different from each other. What could the value of a ‘theory’ be, if it is based on arbitrarily dogmatic ideas or on “experiences”? (The word ‘value’ refers to the absolute and not to its approximate value). Because an approximate “value” may apparently seem to have closely approached the absolute, but in the profound truth it will always maintain an infinite distance. For this reason, Zeno’s arrow, Achilles or the turtle would never be able to reach their target (“if they had the possibility to move according to the dichotomous/ split way”) As far as the word ‘theory’ is concerned, it doesn’t mean anything more than’ an idea, a hypothesis, an opinion’. If anyone calmly (i.e. logically) ponders over any kind of theoretical structure, it won’t be that difficult for him to realize the type of spiritual “foundations” the whole cognitive structure of our world is based on. And through simply doing so, one can realize, how subversively – according to our innate perception – our world functions. (Besides that, all physicists, being professional pragmatists, are confident that they are objective).